Belfast is now at the centre of the world's high-tech coal industry, it has been claimed. Investments by Tyrone-based LCC Group and Belfast Harbour totalling £30m over the past few years have enabled LCC to ramp up its processing ability, the company has said. Since opening a new £12m processing facility in Belfast last year, LCC has handled almost 500,000 tonnes of coal, which is exported directly across the world to destinations such as Saudi Arabia and Australia. LCC's investment is built upon a £20m spend by Belfast Harbour in recent years to enhance its deep water and cranage capability. More than 130 jobs are supported by the operation and the harbour is now handling direct export shipments to Saudi Arabia for the first time in its history, and shipments to Australia for the first time in living memory. Michael Loughran, director of LCC Group, which is based in Cookstown, said the £12m investment means that the firm operates one of the most advanced and environmentally friendly coal processing facilities to be found anywhere in the world. "In addition to creating 30 new jobs and up to 100 indirect jobs in supporting sectors, the facility has put Belfast at the heart of the global high-tech coal industry," he added. 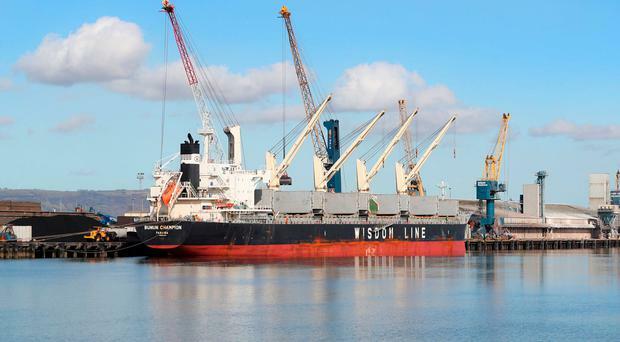 "Working in partnership with Belfast Harbour and building upon its investments in port infrastructure, LCC is now to the fore of the emerging clean-tech coal sector."